The idea is gaining momentum in the state capital and at city hall, giving new urgency to a plan that would transform everyday life for millions of people by charging motorists an as-yet-undetermined toll — $11.52 according to past recommendations — to drive south of 61st Street in Manhattan. What’s more, clogged midtown traffic is costing the city economy more than $9 billion a year in lost travel time, and $11 billion more in fuel, lost revenue and other costs, according to the Partnership for New York City, a civic group composed of CEOs. Revenue from the tolls — which would be counted by electronic devices around Manhattan’s business core — would help the money-starved MTA bring subways up to 21st-century standards. The authority has estimated it needs $40 billion to do that over the next 10 years. 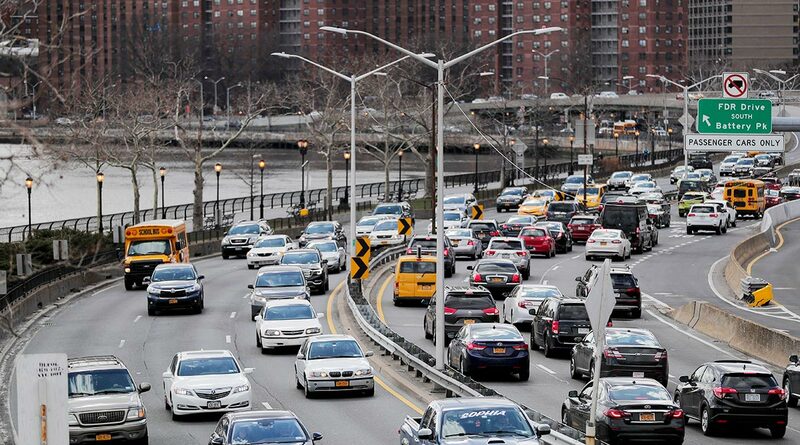 In the past, lawmakers representing the suburbs have objected to charging motorists to drive on many Manhattan streets, concerned for their constituents who already are paying to cross bridges into Manhattan. Many in the suburban bloc also had insisted that some congestion-toll funds go to support regional commuter trains. Yet support now is broad enough for people to be “confident it will pass in the state budget,” said Gary Ginsburg, spokesman for Senate Majority Leader Andrea Stewart-Cousins. The toll would raise about $1 billion a year, enough to finance $15 billion in bond issues toward transit improvements. The Legislature also is considering a pied-a-terre tax on nonresident-owned apartments worth more than $5 million, which would bring in about $650 million a year; that would be sufficient for about $9 billion in borrowing authority. An internet sales tax would produce an estimated $5 billion. Among the matters lawmakers still have to deal with is who to exempt from the tolls. Carve-outs caused problems in Stockholm, where revenue fell 14% short of projections due to so many exempted vehicles. Revenue also disappointed officials in London and Singapore when reduced traffic resulted in fewer motorists paying fees, according to Citizens Budget Commission data published March 19. For Cuomo, the bottom line is that without congestion pricing, the state-run MTA would have to increase subway and bus fares by 30%, jumping a single ride’s cost to more than $3 from $2.75 and a monthly pass to about $160 from its current $127.